THIS WEBSITE [HIGHMTNVENTURES.COM] IS MADE AVAILABLE BY HIGH MOUNTAIN VENTURES, LLC. ALL USE OF THIS WEBSITE IS SUBJECT TO THE FOLLOWING TERMS AND CONDITIONS. IF YOU DO NOT AGREE WITH THESE TERMS AND CONDITIONS, PLEASE DO NOT ACCESS OR USE THIS WEBSITE. THESE TERMS AND CONDITIONS MAY BE CHANGED BY HIGH MOUNTAIN VENTURES, LLC AT ANY TIME WITHOUT NOTICE. IN CONSIDERATION OF OUR PERMITTING YOU TO ACCESS AND USE THE WEBSITE, YOUR USE OF THE WEBSITE CONSTITUTES YOUR AGREEMENT TO BE BOUND BY THESE TERMS AND CONDITIONS, AND YOUR CONTINUED USE AFTER AND ANY CHANGE TO THESE TERMS AND CONDITIONS CONSTITUTES YOUR AGREEMENT TO BE BOUND BY THESE TERMS AND CONDITIONS. THIS WEBSITE IS NOT INTENDED FOR USE BY ANYONE UNDER THIRTEEN (13) YEARS OF AGE; ANY COMMUNICATION OR INFORMATION SUBMITTED BY ANYONE UNDER THE AGE OF 13 WILL BE DELETED WITHOUT FURTHER NOTICE. THIS WEBSITE IS FOR INFORMATIONAL PURPOSES ONLY. IT IS FOR THE SOLE USE OF ITS INTENDED VIEWER. IT IS INTENDED SOLELY TO PROVIDE INFORMATION CONCERNING THE SUSTAINABLE INVESTMENT STRATEGY OF JEFFREY A. RUPPERT AND HIGH MOUNTAIN VENTURES, LLC. IN CONSEQUENCE, UNDER NO CIRCUMSTANCES IS IT TO BE CONSIDERED AS A FINANCIAL PROMOTION. IT IS NOT AN OFFER TO SELL OR A SOLICITATION TO BUY ANY INVESTMENT IN HIGH MOUNTAIN VENTURES, LLC OR AND OTHER SECURITY REFERRED TO IN THIS WEBSITE. IT IS NOT AN OFFER TO PROVIDE ANY FORM OF INVESTMENT SERVICE OR ADVICE. NEITHER THIS WEBSITE NOR THE INFORMATION DISPLAYED UPON THE WEBSITE IS MEANT AS A GENERAL GUIDE TO INVESTING NOR AS A SOURCE OF ANY SPECIFIC INVESTMENT RECOMMENDATION.WHILE THE INFORMATION CONTAINED ON THIS WEBSITE IS FROM SOURCES BELIEVED RELIABLE, NEITHER JEFFREY A. RUPPERT NOR HIGH MOUNTAIN VENTURES, LLC REPRESENTS THAT IT IS ACCURATE, TIMELY OR COMPLETE, AND IT SHOULD NOT BE RELIED UPON AS SUCH. ALL CONTENT IS SUBJECT TO CHANGE WITHOUT NOTICE. UNLESS ATTRIBUTED TO OTHERS, ANY OPINIONS EXPRESSED ARE OUR CURRENT OPINIONS ONLY.JEFFREY A. RUPPERT AND HIGH MOUNTAIN VENTURES, LLC DO NOT ASSUME ANY RESPONSIBILITY FOR ANY CONSEQUENCE FOR THE USE OF ANY OF THE INFORMATION OR DOCUMENTS CONTAINED ON, OR LINKED TO OR FROM, THIS WEBSITE. JEFFREY A. RUPPERT AND HIGH MOUNTAIN VENTURES, LLC EXPRESSLY DISCLAIM ANY AND ALL LIABILITY WITH RESPECT TO ACTIONS OR OMISSIONS BASED ON THIS WEBSITE. HIGH MOUNTAIN VENTURES, LLC IS A LIMITED LIABILITY COMPANY BASED IN THE STATE OF OHIO, UNITED STATES OF AMERICA. HIGH MOUNTAIN VENTURES, LLC IS A PRIVATE INVESTMENT COMPANY; AS SUCH, HIGH MOUNTAIN VENTURES, LLC IS EXEMPTED FROM REGISTRATION WITH THE SEC UNDER SECTION 3 (C)(1) OF THE INVESTMENT COMPANY ACT. 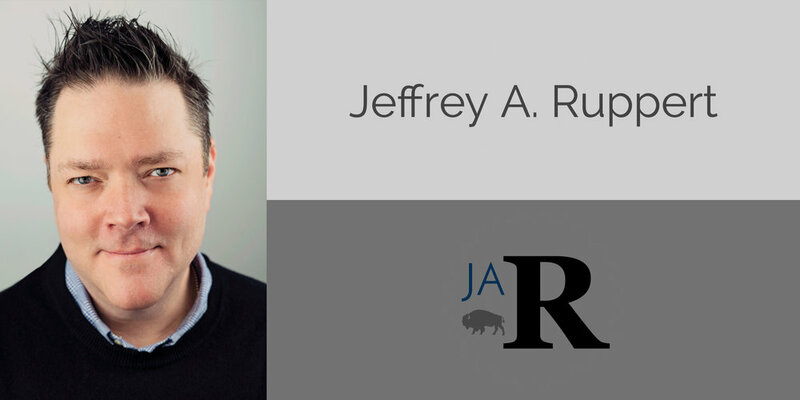 JEFFREY A. RUPPERT IS EXEMPT FROM REGISTRATION WITH THE SEC UNDER THE INVESTMENT ADVISERS ACT OF 1940, AND IN OHIO UNDER OAC SEC. 1301:6-3-01.